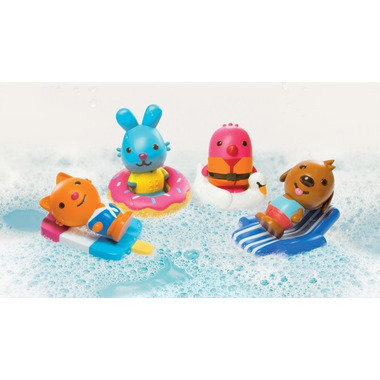 A revolution in bath toy safety – no more gunky interiors! 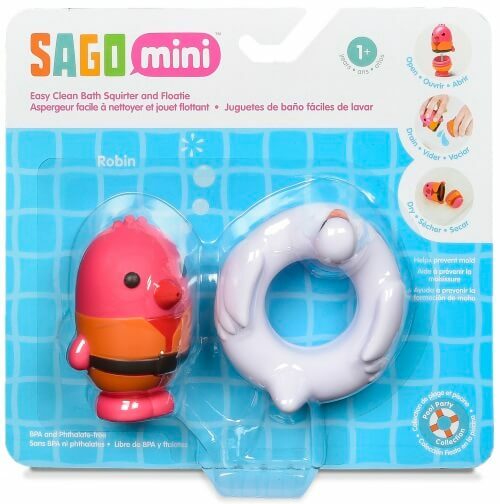 Easy for little hands to squeeze, these bath squirters open up for easy draining and rinsing to prevent icky germs and mold build-up. Each character comes with a pool-party-ready floaty, too. It's a squeaky clean pool party!